Progressive Technology has always been an early adopter when it comes to equipment that can benefit the performance of the business. 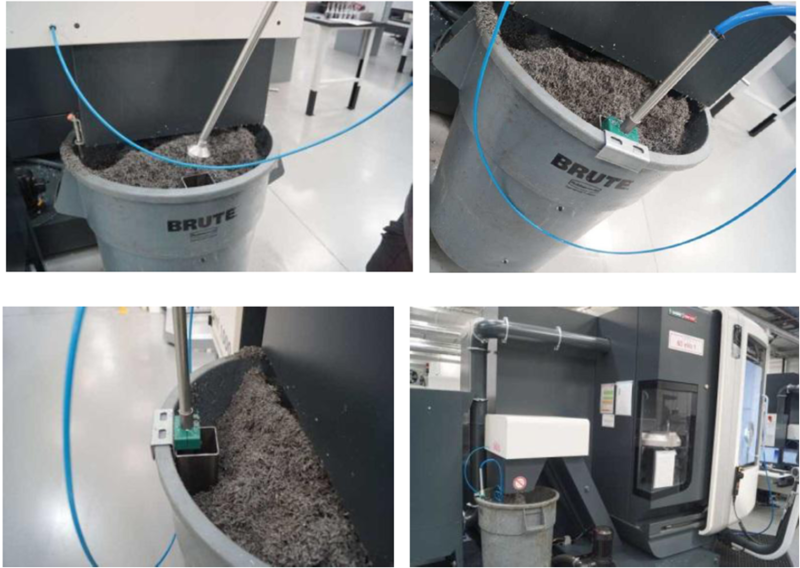 One of the company’s latest benefits has come from a simple, but effective, method of reclaiming the coolant from the swarf bins located alongside each of its advanced machine tools using the Award-winning Wogaard Coolant Saver. Providing advanced CNC machining services for most of the leading high tech industry sectors, Newbury-based Progressive Technology has, in methods and capability, shifted significantly from where the company started. However, geographically it has hardly moved at all as the family-run business was initially established in Overton, just outside of Basingstoke, less than 30 minutes away. When the company’s owner took over the small jig and tool business from his father in 1995, he invested in wire EDM and CNC machining technology to support the customers' needs at that time. Then, around 7 years ago, the company invested in 5-axis CNC machining technology when a Newbury-based Formula One component supplier decided to hang up their tools. “We acquired the building and some of the machine tool assets,” recalls Improvements Engineer, Ashley Mizen. “Although we did not take over the business. The motorsport customers looked to us to fill the gap that had been left. We had the equipment and the capacity, so we applied our engineering knowledge to the various projects and it grew from there. Following an extensive refurbishment programme the 5,000 m2 unit was ready for occupation, but the window of opportunity to relocate between the busy periods of the motorsport season was just two weeks. “We moved the machine tools we were keeping, and replaced some others. Our old Mikron was updated with a new Mikron HPM600U. Two new DMG 40 eVos along with two new DMG 60 eVos were also added to the plant list,” says Ashley Mizen. Batch sizes vary, motorsport customers might order 12 parts; six of each hand, whereas precision medical components are normally 500 off. “One of the biggest issues for us is we machine using a lot of high pressure through spindle coolant, so the machines have a tendency to flood unless we keep the chip-conveyors on all the time. However, that soon fills the swarf bins with coolant. “When the scrap metal rules changed recently we decided to use a single source service provider, but they didn’t want to take our scrap wet. We had a system whereby the swarf bins were loaded on to a device, then tipped up to drain. This was a messy and very inefficient process. It was carried out inside by a couple of people and it was impossible to drain the swarf cleanly. It also had the potential to cause a hazard due to coolant spilling on the workshop floor. And, we also had a full time maintenance person replenishing the coolant in the machine tool sumps,” Ashley Mizen explains. As well as a Coolant Saver specifically designed for Swiss-style sliding head CNC lathes, Wogaard is also developing a swarf bin module that will make the installation of the system much more efficient. Copyright © 2016 WOGAARD LTD.